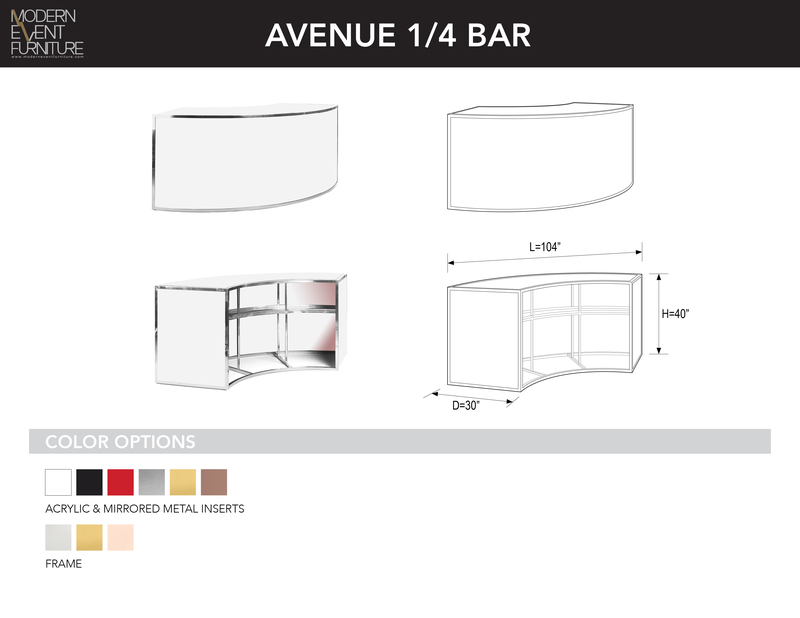 Avenue 1/4 Frame - MEF Modern Event Furniture Inc.
CURVED 1/4 BAR FRAME. SHELF AND SPEEDRAIL SOLD SEPARATELY?ÕÌ_COMPLEMENTING OUR BAR & FOOD STATION EQUIPMENT, THE BAR BACKS ARE DESIGNED FOR EASE OF USE DURING YOUR EVENT. THE ENCLOSED TOP LEVEL CAN BE ILLUMINATED & BRANDED. BUILT OF THE SAME HEAVY GAUGE STAINLESS STEEL AS OUR BARS, THESE UNITS WILL SUPPORT THE WEIGHT YOU REQUIRE!